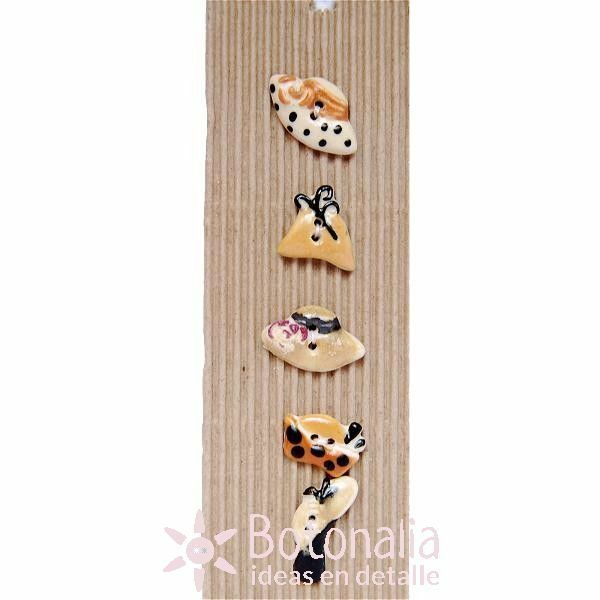 Ceramic decorative buttons with shapes of lady hats. 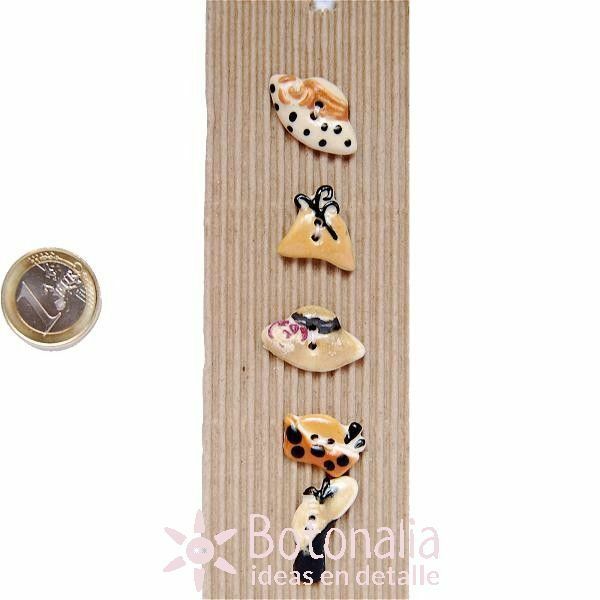 Product Description: Buttons with shapes of lady hats in yellow tones. Content: Card with 5 different models. Different sizes between 18 and 25 mm. Add a touch of 3D quality to your craft, embroidery, patchwork and general sewing projects, as well as to your cards and scrapbooks. Made and painted by hand by South African artisans, these buttons are of excellent quality.They are completely washable both machine and dry-cleaning (it is recommended to turn the clothes inside out before putting in the washing machine and follow the regular precautions for every piece of clothing). Being made by hand, there can be small differences between buttons of the same model.